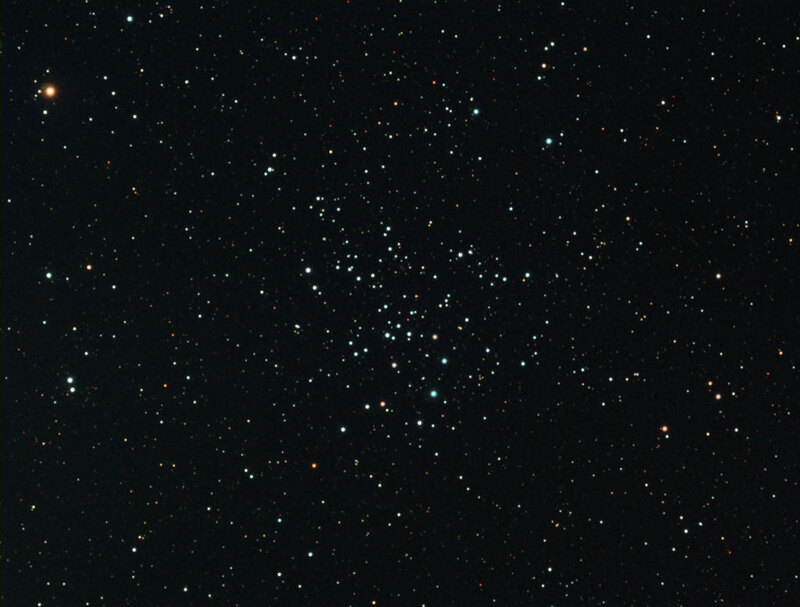 Adrian Brown took this image of NGC 1528 in October 2006. He used an 80ED refractor, a ATK16HR CCD camera, Astronomik RGB filters and an Astronomik CLS light pollution filter. Exposure details were Red 3 x 5 minutes, Green 3 x 5 minutes and Blue 3 x 5 minutes. Maxim DL was used to calibrate and combine the raw exposures. Adobe Photoshop was used to increase the star colour saturation and smooth the background noise.